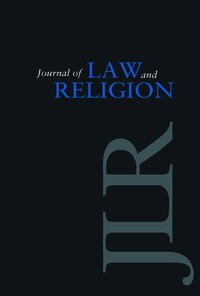 The Center for the Study of Law and Religion is excited to announce the publication of volume 29, issue 1, of the Journal of Law and Religion. This inaugural issue edited by the Center and published in concert with Cambridge University Press features valuable new scholarship from His Holiness the 14th Dalai Lama, Rabbi Lord Jonathan Sacks, Presiding Bishop Katherine Jefferts Schori, and the esteemed Professor Seyyed Hossein Nasr, among many others. Volume 29, issue 1, is available online through the Cambridge Journals Online website: journals.cambridge.org/jlr. All content will be accessible without charge for the first two months. Institutional subscribers may subscribe through the Cambridge Journals Online website. Individual subscribers should contact subscriptions_newyork@cambridge.org (USA, Canada, and Mexico) or journals@cambridge.org (all other subscribers). A snapshot of articles by Rabbi Lord Jonathan Sacks, John Witte, Jr., Christopher J. Manzer, and Michael J. Perry may be found here.